Memorizing formulas and methods is a common practice for finance students. One of the simplest and most important formulas you can memorize is the straight line depreciation formula. If you want to further your education by pursuing executive MBA programs later on in life, you are going to need this basic knowledge. Below, you will find a complete breakdown of the straight line depreciation formula, along with some other helpful information. Depreciation is the loss of value in an asset over time or due to wear and tear. The depreciation of an item is a non-cash transaction, meaning that the loss of value does not involve any real cash flow. Instead, it is merely an indicator of how much the item is worth after a certain period of use or time. Many depreciation formulas, including that for straight line, are affected by time, while others are affected by use of an asset. 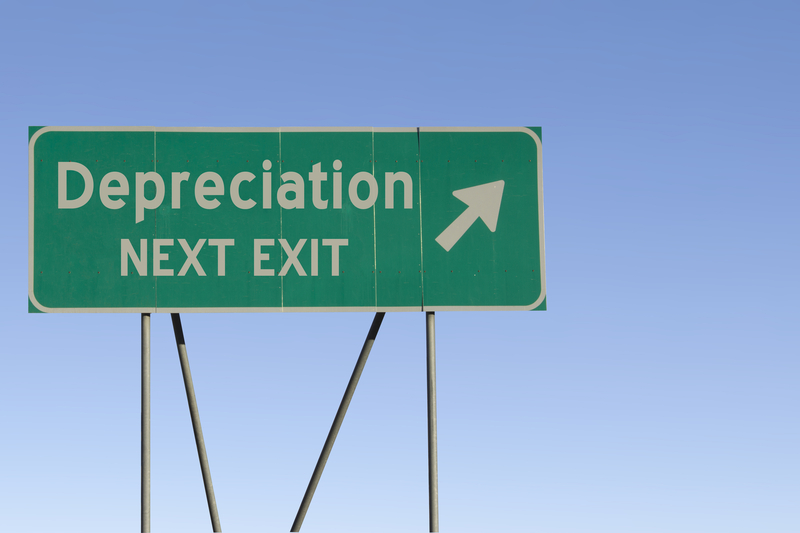 Regardless, depreciation is used to measure the future value of equipment, goods or investments. What Is Straight Line Depreciation? Straight line depreciation is the method of analyzing the consistent loss of value in an asset over time. In this particular form, the value of an asset will reduced ad a steady, fixed cost over a specific time period. This method is especially useful when no reliable estimate can be made regarding the pattern of economic benefits provided by the asset over time. That is why it is used in valuation processes for some China stocks. Straight line depreciation is one of the easiest methods to grasp because it involves a steady decline. In order to understand straight line depreciation, you must understand salvage value. Straight Line Basis is the method of determining depreciation by using the asset costs and expect salvage value. The salvage value of an object is the estimated value that the owner will be paid when the object is sold. Salvage value is calculated based on an asset value estimate. Sometimes it is determined by the IRS. Either way, you are going to want to know the salvage value of your property in order to utilize Straight Line Basis calculations. Are There Other Depreciation Methods? Although it is one of the most common, straight line is not the only depreciation method. Instead, there are several types of depreciation methods that can be used for specific situations. The results of all of these calculations will have an impact on your taxes, though unfortunately they will not change your income tax rate. For example, the units of production depreciation method measures the decline in value for an asset based on how much it is used. This can be useful for estimating the benefits of things like machinery. Additionally, there is the sum-of-years depreciation method and the declining balance depreciation, both of which measure loss over time like the straight line method. The formula for straight line depreciation is as follows: (Cost – Residual Value) / Useful Life. The cost of the asset is the initial amount that you paid for it. The residual value is the expected proceeds from reselling or disposing of it later. After subtracting the cost from the residual value, you divide the result by the useful life of the item. The useful life is represented by the amount of time that the asset is being used to benefit your company. Useful life can be calculated over a period of days, weeks, months or years. For example, if you purchase a $10,000 car and expect to sell it for $2,000 in 5 years, your depreciation value would be $1,600. This means that your car will lose $1,600 in value over the course of five years. Even if you just want to be an investment banker, you are going to need to know this formula. The straight line depreciation formula is a simple equation that could be very useful to you in the future. It is important to understand depreciation as a whole so that you can better utilize the formula. Understanding depreciation, alternative methods and why they are important is essential to making successful calculations. If you ever need a refresher on depreciation and the straight line depreciation formula, be sure to refer back to this post. It will certainly help you get the job when firms are looking to hire an employee.